Now in hearing, there is only sound. In total exertion, not only the ears heard, the eyes, the hair, the entire body hears...there is no eye, no ear, no body...all six entries are one function and even that act of hearing is profoundly deconstructed. that separates sound and the conditions that give rise to it, can u find that line? In non-conceptual mode of anatta, just a dimensionless sphere of clear "tingsss" and even saying that is too much. Is there separation of the bell, the ear, the stick, the air...etc? All is profoundly exerted into the suchness beyond speech. However when u expressed conventionally, must u not see the dependent arising, the causal dependencies? So u must know at the ultimate it is expressed as if there is no sound, no conditions but at the conventional it is expressed as Dependent Origination. Therefore if one does not see Dependent Origination, he will not see the ultimate correctly. To teach emptiness is to to see Dependent Origination and to see Dependent Origination is to see emptiness. Appears therefore empty, empty therefore appears. There is no emptiness without appearance and no appearances that is not empty. Just read Greg's comments. He pointed one imp point that is mutual dependency. In Prasangika, this mutual dependency is quite unique and important but not in the sense that they affect or produce each other but they (cause and effect) are mutually dependent for their conventional existence. For example we normally think sound is causally dependent on its causes and conditions for its arising but in Prasangika, sound is dependent on its conditions and the conditions r also dependent on sound for their existence. Why so? This is important to understand total exertion. Well said. The heart of total exertion and emptiness...feel it. U r beginning to bring the taste of total exertion into "view". Even in conventionality and conceptuality, the experience of "water pouring water" in meditative equipoise can b brought into actual taste. +A and -A can b integrated. Is itself the middle way. Such a thing does not exist. Wrote more: 21/12/2014:Water pouring into water may be understood as mere non-division of subject and object, in fact you hear descriptions of how the realization of Atman-Brahman is like pouring a drop of water into the great ocean, and so on. However, the water pouring into water in Madhyamika has a more subtle meaning. The subject and object, realization and object of realization, etc etc is released like water pouring into water. This means seeing the selflessness, the emptiness of self and object, screen and images, plane and flying, car/driver/driving, etc etc leads to the taste of empty and non-dual seamless exertion. For example now you no longer see yourself as an independent driver existing independent of the driving (driver is dependently designated in dependence of driving and car), driving a car which is mistakenly seen to exist independent of the driver and driving. Neither are you saying the driver collapses into the car or the car collapses into the driver. Rather, by seeing how driver, car and driving are dependent and empty, then car, driver, driving, environment 'melts' into empty, non-dual seamless exertion. Your riding makes the boat what it is. In this case, subject and object are non-dual like Advaita but not really the same in view, because you are not collapsing one pole to another but releasing them into non-obstruction. What does Nagarjuna mean when he says causes depends on effects? He seems to mean this in more than just referential way as in “East land” cannot exist without “Westland” where the notions of Eastland and Westland cannot exist without each area but the area can. So Eastland physically can exist without Westland but it’s referential name cannot. But Nagarjuna seems to suggest the cause itself cannot exist without the effect. Could someone explain this please? Are there any texts/commentaries which go in-depth about this? Nāgārjuna gives the example of a parent and child. The parent creates the child, but the child also creates the parent. The cause [parent] cannot be established without the effect [child]. In Madhyamaka, causes and effects are interchangeable and bilateral. Every cause is an effect and every effect a cause. Thusness has recently been very drawn into Jamgon Mipham Rinpoche's teachings, he finds it the most resonating and similar (to his understanding, insights and experiences) among all Tibetan teachers he have read so far. 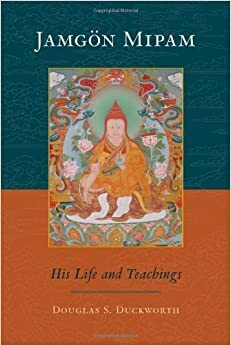 Thusness and I think the following is a very good book, the presentation is clear and simple to understand and summarizes some of the essential Mipham's teachings. Very highly recommended! Jamgön Mipam (1846–1912) is one of the most extraordinary figures in the history of Tibet. Monk, mystic, and brilliant philosopher, he shaped the trajectory of Tibetan Buddhism’s Nyingma school. This introduction provides a most concise entrée to this great luminary’s life and work. The first section gives a general context for understanding this remarkable individual who, though he spent the greater part of his life in solitary retreat, became one of the greatest scholars of his age. Part Two gives an overview of Mipam’s interpretation of Buddhism, examining his major themes, and devoting particular attention to his articulation of the Buddhist conception of emptiness. Part Three presents a representative sampling of Mipam’s writings. In the ancient texts, karma is written as a compound word, karma-vipaka. Karma-vipaka means “action and result,” or what we call cause and effect. This is not a philosophical concept. It is a psychological description of how our experience unfold every day. A good way to begin to understand karma is by observing our habit patterns. When we look at habit and conditioning, we can sense how our brain and consciousness create repeated patterns. If we practice tennis enough, we will anticipate our next hit as soon as the ball leaves the other player’s racquet. If we practice being angry, the slightest insult will trigger our rage. These patterns are like a rewritable CD. When they are burned in repeatedly, the pattern becomes the regular response. Modern neuroscience has demonstrated this quite convincingly. Our repeated patterns of thought and action actually change our nervous system. Each time we focus our attention and follow our intentions, our nerves fire, synapses connect, and those neural patterns are strengthened. The neurons literally grow along that direction. What we practice becomes habit. What may at one time be beneficial can later become a form of imprisonment. Andrew Carnegie was asked by a reporter about the gathering of riches, “You could have stopped at any time, couldn’t you, because you always had much more than you needed.” “Yes, that’s right,” Carnegie answered, “but I couldn’t stop. I had forgotten how to.” Habits have a collective nature as well as an individual one. When King George II heard the “Hallelujah Chorus” in the first performance of Handel’s Messiah, he was so moved that, against all form, he stood up. Of course, when the king stands, everyone else must stand as well. Since that day, no matter how the performance is done, the whole audience stands. While this is a harmless convention, societies can equally repeat destructive habits of racism, hatred, and revenge. We can work with habits. Through the mindful process of RAIN, we can rewire our nervous system. The genesis of this transformation is our intention. Buddhist psychology explains that before every act there is an intention, though often the intention is unconscious. We can use recognition, acceptance, investigation of suffering, and non-identification to create new karma. Through mindfulness and non-identification, we can choose a new intention. We can do this moment by moment, and we can also set long-term intentions to transform our life. Setting a conscious intention was important for Tamara, a woman who ran a community food bank. She had come to meditation to bring balance into her life. But when she first sat quietly and tried to sense her breath, panic arose. She struggled as if she couldn’t get enough air. I had her relax and shift her attention from her breath to her whole body for a time. Later when she went back to her breath, the panic arose again. Staying curious, she actually remember the woozy feeling of ether. She flashed back to stories of her birth. Tamara had been born blue from lack of oxygen and her mother told her it took a long time before the doctor could get her to breathe. In meditation Tamara learned that she couldn’t control the breath of the feelings of panic, but she could set an intention to be present with kindness and then let go. Setting a positive intention changed her meditation for the better. Then in 2005, Tamara went down to Louisiana for two months to help with food distribution for the survivors of Hurrican Katrina. She discovered that she needed the same focused intentions she had developed in meditation. She met people who were in the grip of the same kind of panic she had discovered within herself. They were frightened, angry, stressed out, trying to stay alive. Often the people in charge were in equally difficult states of overwhelm and shock. Tamara soon realized she couldn’t control the people or situation any more than she could control her own breath. At time she became reactive, and when this happened she would breathe, set an intention to be present with goodwill, then let go. Repeatedly setting a kind intention got her through the two months without being terrified or burned out. First u must have clarity of the cause of suffering and cyclical existence before u link here and there. The student bites the finger bring u out of conceptuality but does not bring us out of ignorance. See non-conceptuality and conceptuality as empty appearances like pure sound and scenery... they are of equal status, no special hierarchy. Over-skewing towards either is a disservice. If you see a vivid clear rainbow even in non-conceptual mode, if you chase after rainbow without realizing its causal dependencies and empty nature, how is grasping released? If you want to see its dependence arising then initial phase of inferring is necessary. Both must work hand in hand. And don't understand what you meant about God and Man, conventionally valid and invalid...there are differences between what is valid cognitions among different schools. Even in Madhyamaka between Prasangika (consequent) and Svatantrika (autonomy) school, so you are referring to which one? Lol... if you talk about snake and rope, is there certain definite characteristics inherent in snake and rope? If there isn't, how do you differentiate between snake and rope? Svatantrika says yes and prasangika says no, therefore their definitions of valid cognitions also differ. In your direct realization of anatta, besides the direct taste vivid presence in the 6 entires and exits, what else is realized? So u must realize the differences between non-conceptuality, non-duality as freedom from subject/object dichotomy and freedom from extremes of seeing selflessness in both subject and object. So in Buddhism it is this insight of selflessness that frees one from suffering and cyclical existence. We are not used to this mode of perception and anatta is that first direct experiential taste. So what is object/subject without characteristics and essence? What is cause and effect with inherency? What do we mean by interaction if no essence is found? Bringing this insight of selflessness to all these conventions and understand it thoroughly to realize the conditionality (in contrast to cause and effect) and empty non-arising nature of self and phenomena is prajna wisdom. Is this current thought free from the previous thought? Does the previous thought meet the current thought? Is this present thought completely free or completely determined by previous thought? You can understand "conditionality" by observing this, the nature of thoughts and nature of experience. Conditionality is neither determinism nor free will...it is the middle path, the "cause and effect" of Buddhism. So don't look elsewhere, look directly into your experience. If we continue to look for the carrying medium between 2 moment of thoughts, profound insight of anatta will not arise and non-locality will not dawn. Our mode of perception will be obscured by the inherent way of understanding things. Yes. Look into your experience. It is directly pointing at the nature of experience. When listening to music, the beautiful music is formed from the flowing notes but each note when hit is already gone. How is it that we can still hear the music? It is said that "music" is a convention designated in dependence on it parts -- the flowing notes. The "music" is empty and non-arising. The notes never really "meet" each other, never caused each other yet the current note depends on the previous to be played. So "conditionality" but not a causal agent having the inherent power to effect. What is this telling you about designation, emptiness, conditionality and dependent arising? They r telling u the nature of experience, the nature of mind. So no, buddhism is not Awareness teaching. Not just about the luminous clarity but to realize non-arising emptiness and dependent arising of this luminous clarity and phenomena. See how this realization liberates the mind from its deepest grasping and release itself from the chain of afflictive dependent origination. U don't hv to drop conceptuality for non-conceptuality but see how both conceptuality and non-conceptuality r empty and non-arisen. That is seeing the pervasiveness of emptiness as absolute truth in all phenomena. I really dun understand y one wants to cherry pick so much. Y can't just let Buddhism b Buddhism. Yes, there is no entity. But that is only half of the equation. One has to understand that there is also no contact. 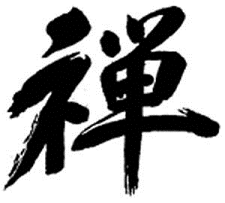 To me this is the distinction in the two phrases of anatta. Although we understand that in seeing there is no seer, it may not be as clear that in seeing, only the seen. So it's understood that there is really never any such thing as contact. No meetings ever take place. The experience of the human condition is revealed to be merely a series of impressions: sounds, colors, tactile sensations, smells, tastes, and symbols (meanings and conventionalities). Impressions have no reality to them, they arise with conditions and disappear with conditions. We have to see this as impressions and not through dualistic cognition. Its impressions seeing impressions liberating impressions. I do not have full experience with undirection. But so far in my path, the undirection comes when there is total unbinding at the deepest layers of habit, especially at the level of sensations which constitute embodiment. It's a mistake to somehow seek out undirection, because it is the ending of action. If one is still inclined to a state of decisions, actions, and effort, then thinking one is in a spontaneous state is a huge deception. Much practice is needed to undo the habitual patterning of embodied energy, which will continually create sense of physicality and relationships. If you are in a state of relationships, of this, that, here, now, etc then there will always be a a direction. To believe otherwise is, in my opinion, deceiving oneself. Yes, but there is an element you are missing imo. The second phrase of the anatta insight is to see the dimensionless stand alone texture of awareness as sights, sound, taste, smell, touch, and concept. The self has to be deconstructed by seeing that there is merely manifestation, otherwise there is always a reference to a separateness. Whether it is watcher, I am, void, samadhi, or any other experience seen as more true than the flowing appearance. And yes, there is no such thing as sense base and sense data in direct experience. Its all just arising and ceasing according to conditions. If we don't apply the principle of dependent origination, we fall in "that-ness" which is how subject hides in object. In reinforcing no-self, the self hides in the effort and objectification, believing that there is no longer any engagement, but just "that." This is a subtle mistake because you can't just get rid of me from "me and that." Me and that are co arising. When the trifold structure of "me, that, and, me and that (action + contact)" dissolve upon insight, there is a very different experience of the sense spheres in that they begin to lose dimension. They have to form, abiding, boundary, size, duration, etc. It is merely arising then gone like rainbows appear when there is light and water. The entire human experience is the arising and disappearing of such impressions as the 6 tastes. Anyway, that's just my experience and analysis. In experience there is really no such thing as internal or external. That is just conventional framework of mind. You never experience anything internally or externally. There are only impressions of the sense spheres. Which at first is unbelievable because the framework of locality, individuality, and embodiment is so strong. The teachings of how sense spheres arise dependently upon contact are to point to their emptiness which as an effect liberates one from the inherent view. This teaching really doesn't seem that important at first. Like, "hey, ok, so what? It's obvious stuff happens causally upon interaction..so why is there all this emphasis on dependent arising?" But it takes a different effect when contemplated from the perspective of nondual experience and seeing the cause of how duality arises, namely through the view of inherence. The clear nondual visual field is experienced (as pointed out by Goran's post above) but it is not liberated into its empty nature. So contemplating its dependent arising is important here. "We must accept that all are mere imputations but from the insight of anatta, not from the insight of substantialist view. "Phenomena" is understood differently from our general English usage, "phenomenon" in Buddhism in general is object possessing identifiable characteristic and therefore having essence that is findable. However in Prasangika it is said that phenomena r merely names and imputations. But "mere" imputation in Prasangika cannot be understood apart from its dependencies. This dependency is key and is what dependent arising and emptiness are about. When Prasangika says that things or phenomena are just mere labels, names, designations or imputations, it is not as we understood in common English terminology, rather, it is to be understood from the perspective of dependent designations, not just designations. Without understanding this dependencies, we are not understanding what is meant by "mere designations". That is, it is mere name/designation/imputation because the designated referent as an entity when sought can never be found apart from its basis of designation. This basic understanding must be there and must go into our inmost mindstream. And only direct insight of anatta can understand the significance. Therefore the non-conceptuality is not simply non-conceptuality as in freedom from labeling but a freedom from the blinding spell of seeing things in terms of 4 extremes from reified designations. This extends to all phenomena be it conditioned or unconditioned phenomena. As for non-conceptuality, there are fierce debates between Gorampa and Tsongkhapa. There is also Mipham's view of non-conceptuality but these masters agree that the mode of non-conceptuality is a very specific and special mode of intuitive insight that relates to freedom of extremes, not just imageless bare mode perception." "Don’t misunderstand the term “mere imputation” wrongly. It is very important to understand the term “mere” is very special in Prasangika. “Mere” and “cannot stand at its own side” are synonym. In other words, you can treat “mere” to mean “because the emptiness of phenomena is deep and the dependencies are profound, it cannot be expressed but called it ‘mere’”. Much like Tao cannot be expressed, very reluctantly, LaoTze named it Tao. It is completely opposite of our common usage like “don’t worry, it is merely a label”. The very fact that phenomenon are empty of inherent existence means that phenomena are not existing at their own side therefore this “mere designation” cannot be eliminated in the ordinary sense; in fact there is no elimination, you can’t. To free it, one must see “Emptiness” and Dependent Origination. Because of the profundity, if one practice the inferring and reasoning path, there are various lines of reasoning like diamond silver, sevenfold reasoning, unfindable as one or many, four extremes and lastly of course, the king of reasoning Dependent Arising to guide the practitioners towards right understanding. Thus this “mere imputation” can’t be overcome by deep shamatha concentration; can’t be overcome by ordinary non-conceptuality; can’t be overcome by non-thinking because it is “dependent” on its basis; it is not just a designation. Even the cessation of Nirodha-samapatti cannot do away with this “mere imputation” permanently. In Prasangika, only the intuitive insight of prajna wisdom of both self/Self and Phenomena is able to break the chain of specific dependent origination because ignorance as the root cause of cyclical existence is severed. Anyway just my 2 cents. Please read and understand with yor own insights and experiences. See you in Singapore!" "Proliferation arises because whatever dependently arises is treated as true and real, not because it is non-conceptually or conceptually experienced. In fact when whatever arises is directly and non-conceptually experienced, its brilliance and crystal clarity has stronger tendency of blinding us into treating it as true and real. This makes the mind grasped more and unwillingness to let go is stronger because it seems so real and undeniable." "Not even being non-conceptuality can stop such tendencies becoz it is not just abt freedom from concepts." "...But to me, as I started from a direct experience of presence, I do not c the need to put an end to conceptuality by way mmk ... That is MMK imo is much more than putting an end to conceptuality. It will b quite a clumsy technique if the sole purpose is to reach that as a goal. Zen koan, the two stanzas, vipassana bare attention, self enquiry are all more efficient and effective ways to achieve that goal. In fact after I got familiar why these techniques, I hv my own koan and techniques to trigger ppl into non-conceptual experiences...lol"
"…The process of eradicating avidyā is conceived… not as a mere stopping of thought, but as the active realization of the opposite of what ignorance misconceives. Avidyā is not a mere absence of knowledge, but a specific misconception, and it must be removed by realization of its opposite. In this vein, Tsongkhapa says that one cannot get rid of the misconception of 'inherent existence' merely by stopping conceptuality any more than one can get rid of the idea that there is a demon in a darkened cave merely by trying not to think about it. Just as one must hold a lamp and see that there is no demon there, so the illumination of wisdom is needed to clear away the darkness of ignorance." and then the third one is dependent designation. ...It isn’t that things just totally vanish if they are not being labeled. On the other hand, it doesn’t mean that everything we label actually exists. We can label “rabbit’s horn,” we can conceive of rabbit’s horn. We certainly conceived of weapons of mass destruction in Iraq and labeled them. But just because there’s a term and concept, doesn’t mean that there’s an object. Why? Because you need not only the term and concept, but you need a basis of designation that is suitable to bear that label. What was there in Iraq? There was nothing suitable to bear that label. How about with the rabbit’s horn? The rabbits have ears but there’s nothing suitable to bear the label “rabbit’s horn.” It doesn’t mean that everything we label exists. Just as we learn that everything we think doesn’t exist either. Consciousness is implied by sensations, but really there are just sensations. You could say that they contain "consciousness" in them, or you could say something like, "In the seeing, just the seen," which is a lot cleaner, if you ask me. It is on ignorance that there are volitional formations, and on volitional formations depend consciousness, etc. Thus, with the dissolution of ignorance, sensations are just as they are. Sensations are utterly transient, so there no substantial thing to awaken in ultimate terms. Instead, a process of identification and delusion stops, such that no longer do empty, transient, simple sensations create a fundamental illusion of a permanent, continuous, separate, perceiving self that could be liberated. So, the question is ill-formed: it is not right to ask, "What is liberated? ", and it is better to say, "Liberation occurs when a process of delusion stops," or, "Liberation occurs when clear perception of the way sensations always were occurs." This is also useful, as it points to method, the method being clear perception of sensations. It is extremely difficult to express what is 'Isness'. Isness is awareness as forms. It is a pure sense of presence yet encompassing the “transparent concreteness” of forms. There is a crystal clear sensation of awareness manifesting as the manifold of phenomenal existence. If we are vague in the experiencing of this “transparent concreteness” of Isness, it is always due to that ‘sense of self’ creating the sense of division. Mind, awareness, experience, sensations are synonymous. It is not “mind is aware of experience”. For what is mind? Seeing sight, hearing sound, all is mind. So, experience is mind is awareness. This is the truth of non-duality. The non-conceptual sense of beingness or am-ness is mind, the non-conceptual presence of seeing, hearing, etc too is mind, thoughts too is mind. To apply effort to sustain a particular state of mind as being “nature of mind” is thus irrelevant, since every state and manifestation is in fact not other than the nature of mind. There is no nature of mind apart from mind, and no mind apart from experience. But until this is experientially realized, there is no benefit. There is nothing concrete, substantial or unchanging about mind, thus allowing for infinite potential of appearances. Emptiness, luminosity and energy co-emerge. Inseparable from the interconnectedness of causes and conditions, vividly present but empty, being a ceaseless flow, appearing as various shapes and forms and bubbles like an endless river flowing according to various conditions. Mind is not some pure potential behind manifestation, rather lacking an independent self-substance, mind points to this very manifestation itself, whatever it is for “you” at this moment (probably the sight of these words). What about analogies that the nature of mind is like space? It does not mean there is a space behind phenomenon, but rather the mind is empty of a concrete identity, and being so is free from limitations, center or boundaries just like space, manifest as this very appearance. There is no noumenon behind phenomenon. At this point, “who is aware?” no longer applies. Nothing hiding, totally manifest! This is what Padmasambhava meant by “Since there is only this pure observing, there will be found a lucid clarity without anyone being there who is the observer; Only a naked manifest awareness is present.”, and what a cook told Zen Master Dogen, “Nothing in the entire universe is hidden.” This is what Thusness calls, “total transparency”. Another point to “Nothing in the entire universe is hidden.” is that this manifestation is the activity of the entire universe, so this very manifestation is in fact not different from and not the same as the entire universe. The apple is the sun-apple, the farmer-apple, the air-apple, the universe-apple, the biting is the apple-biting-apple and the mouth-biting-apple, the universe biting apple. Nothing in the universe is hidden for the universe is totally manifest As this very activity. This activity is the manifestation of the whole universe of interdependency in a perfect and complete expression, just like this. The ever evolving process of an interdependent universe universing universe. All causes and conditions are incorporated in seamless interdependence in a single activity. (E.g. Hand, shaking, cup, water, ripples) What we call “universe” is simply this evolving process of interactivity made manifest in each unfolding moment, an interconnected process rolling on and on without an agent, nothing hidden whatsoever. So in summary: when we talk about “intrinsic awareness” or “intrinsic mind”, we may also call it “intrinsic luminosity of experience”, for what is mind? Nothing whatsoever and yet nothing is not (totally manifest, nothing hidden), the words experience/mind/awareness all point to this very luminous-experience-mind. It points to the dynamic flow of mind-activities. Thus luminosity is not an attribute of a fixed unchanging entity hidden somewhere, but the essence of the manifesting mind/experience itself, unfabricated and unconditioned (not created by something, by effort or by contrivance). And yet manifesting as whatsoever due to an interconnected flow of activities, nothing independent and nothing lasting more than moment. Utterly gone upon the cessation of conditions. One who sees the suchness of dependent origination sees the Dharma, one who sees the Dharma sees the Tathagata (Thus Come One). I found this advise by Kyle to someone in 2012 which I think is well written. Posting this up with Kyle's permission. That experience was fairly spontaneous, if I was to try to pin point what brought it on exactly I'm not sure if I could. But for about a year on and off prior to that I'd been practicing samatha or shine meditation which pretty much consists of just sitting quietly, eyes open looking at an object or space and not doing anything at all. If a thought arose I'd just let it pass and self liberate immediately without following it. From doing that my clarity and presence increased a lot. I had two smaller non-self experiences before the big one during the time I was meditating regularly everyday. I also was doing a lot of self inquiry. The day that happened though I was doing some inquiry into thought related to the present moment which was actually very forced so I'm not sure how it brought that anatta experience about. I just focused strongly on the present moment and took the attitude that there was only right here, and right now, that only what was being immediately experienced existed and it was all that ever had and ever would (which is true but felt opposite of how I usually had functioned). So I focused on that every thought that arose was the only thought there is, none before, none after. And there could only be one thought in that moment. Since there was only that one it wasn't like there was a thought waiting to arise and/or one that had left, there was no coming or going, just was was here now. And for some reason the present thought just became noise that didn't mean anything, like gibberish and it was all of a sudden apparent beyond a shadow of a doubt that there had never ever ever been anyone here at all. Thought stopped and seeing was happening but no one seeing, hearing happening but no one hearing etc.. There was only experiencing and my absence felt like I had died, or it was just seen that I had never existed which was crushing and upsetting in a way but at the same time it was beautiful. So it was weird because I had been forcing an inquiry but the experience came on spontaneously. I'd actually deviated from dzogchen a little time before that because until this point I hadn't had any substantial experiences to validate the teaching at all. Right around that time I had been reading a lot of this guy nisargadatta who isn't even a Buddhist teacher but speaks really well about the non reality of the self... But after that experience I got more into dzogchen then I had been before and that's because it wasn't just a theory or idea anymore I saw that it was real. And I saw that it wasn't just that experience but that's how reality manifests at all times. As far as trying to create that experience that's the trouble, which it seems you already see... That any effort to "get there" is effort by the self and therefore spoils it from being seen. This is why dzogchen speaks of "doing nothing" or "effortlessness", so that meditation you're doing where you rest in awareness is good... and adding the insight of "in the seeing just the seen" etc.. Is good too. Adding the timelessness aspect to that is also key, (which is also effortless because it's always only now, but that isn't always apparent). The feeling that there's an individual that spans time is a big part of it. What helps is understanding that it's only thought that says "I".. The "me" is just a thought, the thought isn't commenting on a "me" which is actually present apart from the thought. It's just a thought. So unless a thought is arising to claim authorship, it's already just seeing, just hearing. And the seeing, hearing etc.. Isn't inside or outside, it's just present. Just 'right here'.. immediate. Experience is just that. Seeing doesn't see objects, the objects are the seeing. Hearing doesn't hear sounds, the sound is the hearing... no separation. But in trying to understand it like that, it's still the same old problem of the self trying to get it. Any effort made is blocking it from being made apparent when set up as 'you' trying to 'get there' in time. And this aspect of the teaching is where (for example) Jax was right (although he took it to an extreme and I ultimately didn't agree with his view). Understand that 'you' are just a thought. The self is merely thoughts commenting on each other but thought A is never there at the same time as B so there is no consecutive chain of thoughts. Another thing that I noticed in your message above is where you're saying that the 5 senses produce their respective objects without a self to be found. This statement is actually stacking too much on top of the natural state as it is... if you can notice in immediate experience; the 5 senses as faculties are not present... the '5 senses' designation is merely a convention, which is useful for communication but lacks existence apart from it's conventionality... likewise objects are designations implemented merely for conventional purposes(not to be denied, but seen for what they are as merely conventions). You're already stepping toward trying to see the absence of the self in experience, but it would be helpful to see the senses and objects as empty as well. So what this means is that in your immediate experience there is no evidence of the self and there is no evidence of the senses and their respective objects. In immediate experience it is "just this" no self, no senses, no objects, just the natural state which is beyond designation. If you try to hard to "see it", this is again the self trying to "see it", it needs to be understood that it is already always the case. The senses don't apprehend objects... the objects ARE the senses, the senses ARE the objects, and they are not two... but even this is saying too much.... it's just BOOM right there, happening now. In the seeing just the seen, doesn't imply that there are "things" which are seen... it just implies that it all contracts into a zero dimensional suchness... there's no objective happening... it's full union. Now as for the "awareness"... the awareness aspect can be solidified as a substantiated 'thing-ness' as well... which was my beef with Jax's insight again to use an example. The problem with the awareness is that due to certain kinesthetic sensations approximate to what we take as our body, we feel that awareness is seated 'here' experiencing surrounding phenomena. So awareness is considered to be stationed or localized 'here' instead of 'there'. But this feeling of 'hereness' is just this kinesthetic sensation coupled with the illusion of time. In truth the feeling of looking out from the vantage point of 'here' is just a non-local "presence", there is no here or there... here and there are merely thoughts. When the feeling of presence is felt, it doesn't claim to be here or there or anywhere... if this can be intuitively understood then it can be seen that what appears, appears to itself and no distance from itself. Coming back to the stabilization of "thought-flow" and clarity in samatha or shine meditation... this stabilization reduces the projection of designations by thought so experience can be rested in nakedly without too much distraction and for this reason it is very helpful. From there, resting in this "presence" you see that the "presence" IS the "appearances" and vice versa. Also, mere mindfulness will help stabilize this, even if it's contrived or forced.... just remain present at all times... ChNN says to do it like you're driving a car... just remain aware and focused at what's happening around you, just be here. Even if it feels like there's a "you" attempting to "be here" just let it be. In time this will also dawn true insight and the point is to have that innate and true insight apart from all of this intellectual crap i'm talking about... in just remaining present the meditation will start to work for itself and true insight will dawn on it's own accord... so try not to be distracted, and practice that non-distraction like you're doing it to save your life... like if you become distracted you'll be killed, make it of utmost importance... maintaining that flow. Now when ChNN and dzogchen talk about remaining undistracted they don't mean merely remaining present, they're talking about not separating from the non-dual natural state once that becomes apparent. But luckily since the self and the senses and objects are mere imputed conventions, in the act of remaining present, the natural state is already implied... and the contrived mindful presence will just strengthen the connection with the natural state... it's also almost like a process of reconfiguring, removing habits and tendencies to reify dualities which make a subject-object experience seem real. In time with being present, it will just happen... the feeling of being a subjective entity will just go. The "all-ground" or feeling of substantiated awareness happening here will melt into the natural state. Don't be too contrived in your mindfulness, just be present, be relaxed, allow appearances to self-arise and self-liberate and remove the notion of time and space, know that this is indeed it right here, right now, but "feel" that... don't convince yourself intellectually, be in the flow, be the flow. "...The anatta definitely severed many emotional afflictions, for the most part I don't have negative emotions anymore. And either the anatta or the strict shamatha training has resulted in stable shamatha where thoughts have little effect and are diminished by the force of clarity. I'm also able to control them, stopping them for any amount of desired time etc. but I understand that isn't what is important. Can I fully open to whatever arises I would say yes. I understand that every instance of experience is fully appearing to itself as the radiance of clarity, yet timelessly disjointed and unsubstantiated..""